I found out about the now infamous Banksy self-destructing artwork “Girl with Balloon” —- part performance, part stunt, a brilliant and deeply cynical gesture — on social media. Twitter, which although I don’t “use” it as much anymore, it still has the pulse on immediate information, despite having being upstaged by its more visual cousin, Instagram. 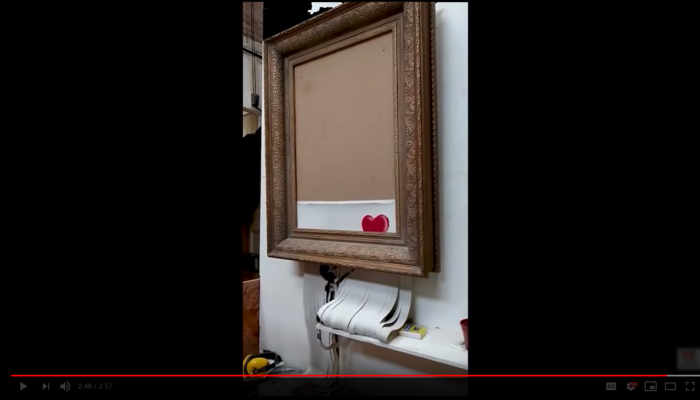 Watching “The Director’s Cut” video on YouTube, which perhaps purports that the image was intended to be entirely shred, and further mocks the elite art world, while yet still profiting from it, makes me realize that Banksy should clone himself and be a prof at most art schools. Or at least offer online workshops. What would an application to the Canada Council look like that was shaped by a Banksy style intention? So I want to do this thing. Banksy shows us how to work the system and yet still, ostensibly, kick it in its backside. Probably there are PhD students right now choosing his work as a thesis project. I’m thinking about this as I decide whether or not to apply for a PhD, and whether or not to become more commercial in my approach to arts-making. AS if there is a difference.